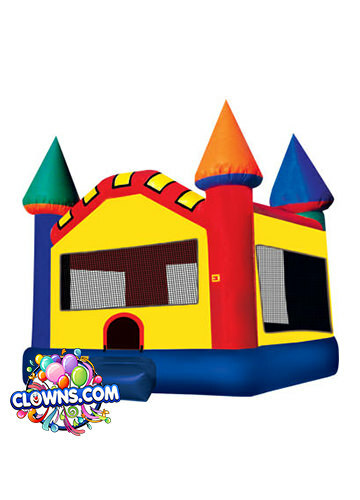 Sail the high seas with Jake and the Neverland pirates with this fun interactive bounce house. 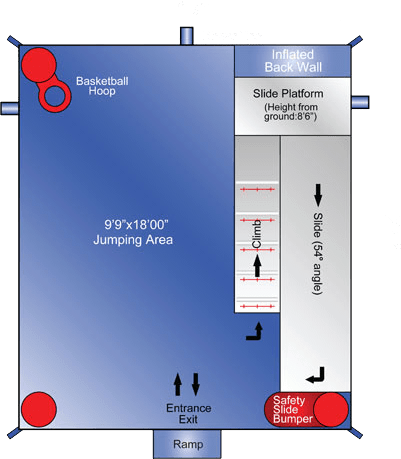 More than your average bouncer, the Jake and Neverland Pirates slide bounce combo features a wet/dry slide in addition to plenty of bouncing space. 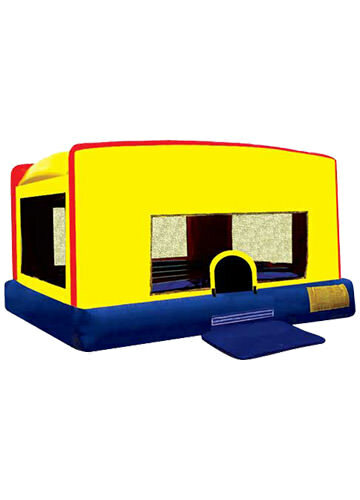 Children will be entertained for hours as they pretend to walk the plank, look for mermaids, and sing pirate songs. 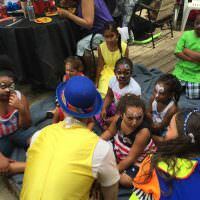 After climbing aboard the ship, children can act out episodes from the Jake and Neverland show or goof around as they search for pirate treasure. 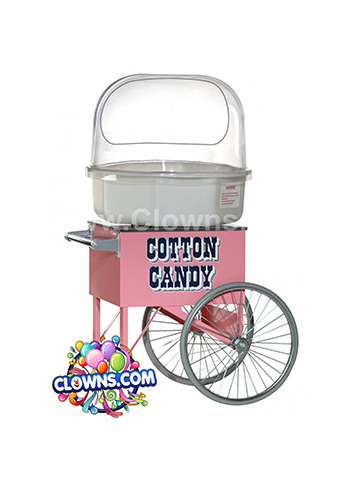 After choosing a Jake and Neverland Pirates bounce house rental, consider the other options available from Clowns.com. 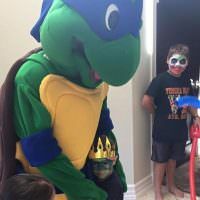 Check out the packages for pirate parties which feature a lively entertainer who shows up to shiver the timbers of your entire party. 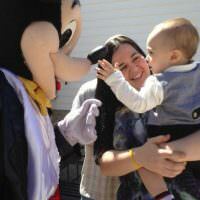 The pirate will play and interact with children as well as paint faces, twist balloons, and sing and dance. 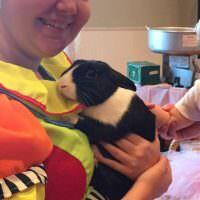 Other options also exist like a magician who performs a show revealing a live rabbit. 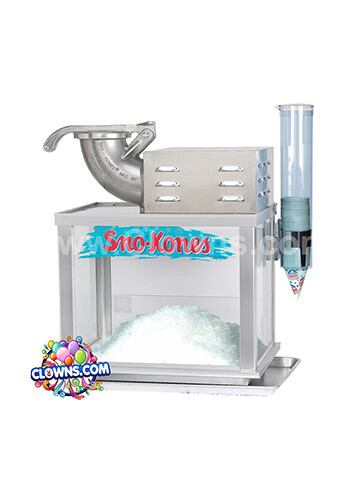 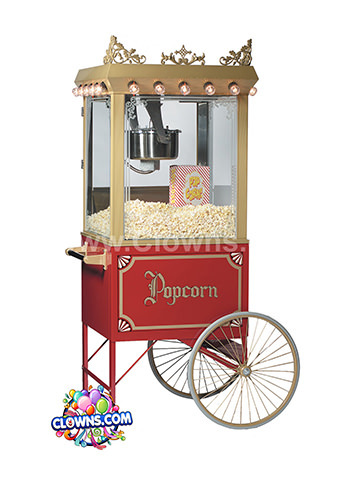 Rent a popcorn machine or a SnoKone maker for even more tasty and exciting party fun. 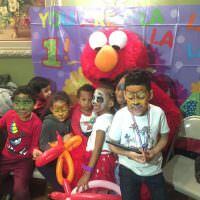 Clowns.com specializes in kids parties throughout NYC in neighborhoods like Manhattan, Brooklyn, Bronx, Queens, Staten Island, Long Island, and Westchester. 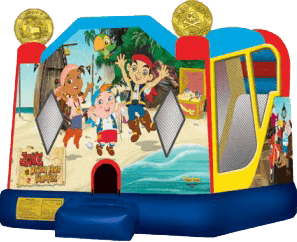 Climb aboard the fun inflatable bounce featuring Jake and the Neverland Pirates and set sail!